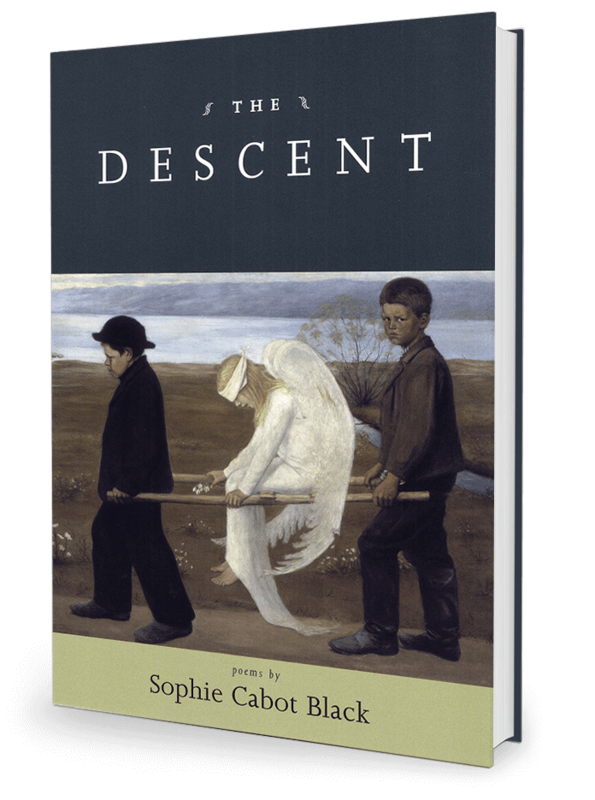 The Descent, Sophie Cabot Black’s anticipated follow-up to her award-winning debut, The Misunderstanding of Nature, describes a restless spirit at the crossroads of love and damage, rapture and disenchantment, the mountain and the descent. “Heaven is only/What it cannot be”, one poem admits, but what is salvageable after a beloved departs, after the harrowing of personal and collective disaster, after language itself is revealed as inadequate? The voices of these poems struggle through the hesitancies of doubt and loss to end at more than survival or witness; they achieve clarity by singing of the resiliencies of the known world, after paradise inevitably fails. In these spare, lyric outcries, Sophie Cabot Black affirms her place as one of our most spiritually meaningful and ecstatically crafted contemporary poets.